If you use Flash, you know it has a very useful feature called ‘Edit Multiple Frames’. 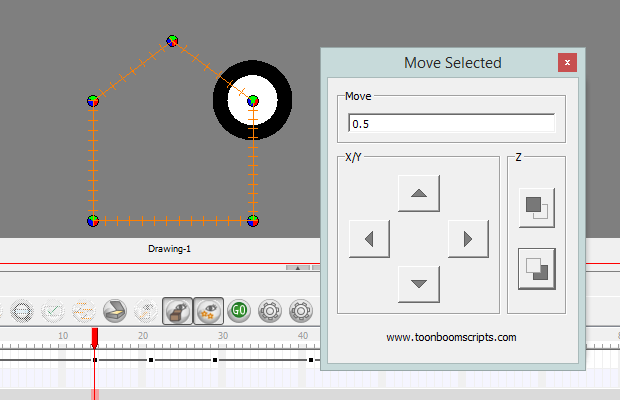 Then you find out Toon Boom Harmony 10.3 doesn’t have anything similar. Why?? But this script tries to replicate that feature. It is not perfect, but it’s better than nothing. First of all copy the ‘moveSelected.ui’ and ‘moveSelected.js’ to your scripts folder. Then copy all the png files to the default icons folder. 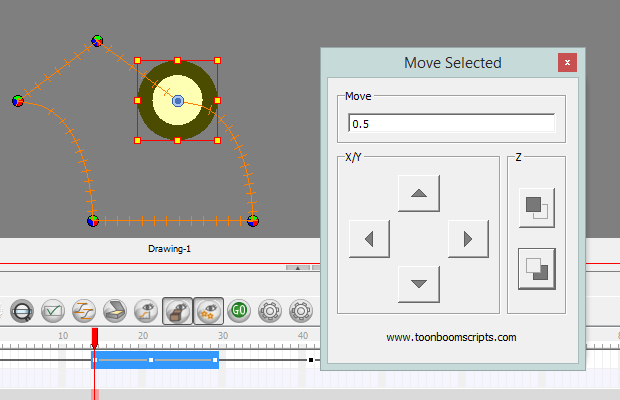 If you’re working in Toon Boom connected to a database you’ll probably have to change the path for the ‘moveSelected.ui’ file that’s writen in the script, if you’re working offline you won’t have to bother with this. Donations go to support our free scripts.